just had a "like new" Xbox one S delivered description only said "damaged box but original packaging". although everything was wrapped in plastic and looked nice , when I took the controller out the analog sticks had that mucky sweat marks stuff in the corners of it. 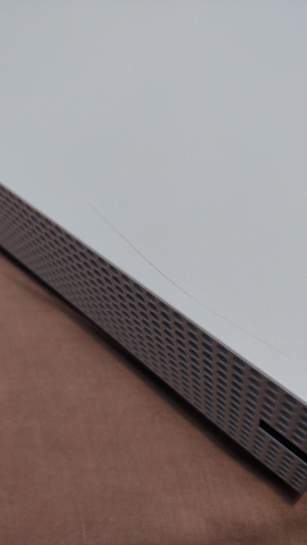 the console has a crack in the case, not massive and easy enough to not notice on first look but it's on the top and from an angle easily visible. is this the usual case for like new? 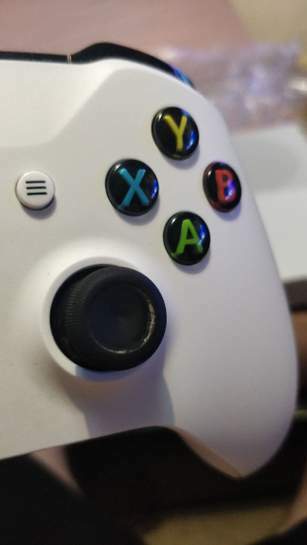 I mean it powers on and seems fine but the controller must have been used somewhat to have the sweat grease stuff in the analog stick etc... hmm.. I don't think they check them sometimes. Or may have been sent the wrong one. If you're not happy, get on live chat. They should do a partial refund but you can always return it. I don't think they check them sometimes. Or may have been sent the wrong …I don't think they check them sometimes. Or may have been sent the wrong one. If you're not happy, get on live chat. They should do a partial refund but you can always return it. Im sure the FIFA ones have a sleeve over it, probably missing that. Either way, if you are happy to keep it and get a partial refund speak to them on live chat. And if you're not happy to keep it send it back. They've agreed to a 25% refund which I think is fair enough? Since the console itself is in good condition just that crack on it and the controller is clearly used atleast a bit. FIFA didn't come with the console either, wasn't too fussed about it but it is strange how they clearly haven't checked this properly. This makes it £95 in total it's cost me which is decent I suppose for an Xbox One S 500GB in "Good - Very good" condition . They've agreed to a 25% refund which I think is fair enough? Since the …They've agreed to a 25% refund which I think is fair enough? Since the console itself is in good condition just that crack on it and the controller is clearly used atleast a bit.FIFA didn't come with the console either, wasn't too fussed about it but it is strange how they clearly haven't checked this properly.This makes it £95 in total it's cost me which is decent I suppose for an Xbox One S 500GB in "Good - Very good" condition . Sounds a bargain to me for a gaming machine/UHD blu ray player! Cleaned it with a wet wipe straight after taking the picture. Warehouse deals is a hit n miss. Sometimes I’ve received items where I question why they’re on there in the first place.